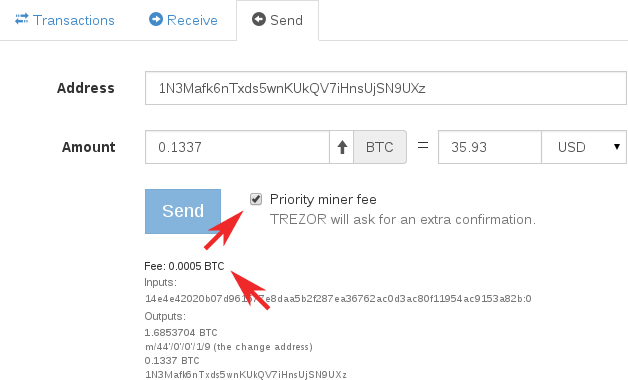 Because of the recent spam in the Bitcoin network we added a possibility for users to choose between normal (0.1 mBTC/kb) and priority miner fee (0.5 mBTC/kb) via checkbox shown in the Send dialog. This option is set by default, so if you want to use normal fee, please uncheck the box. We make normal fee as default once the spam period is over. 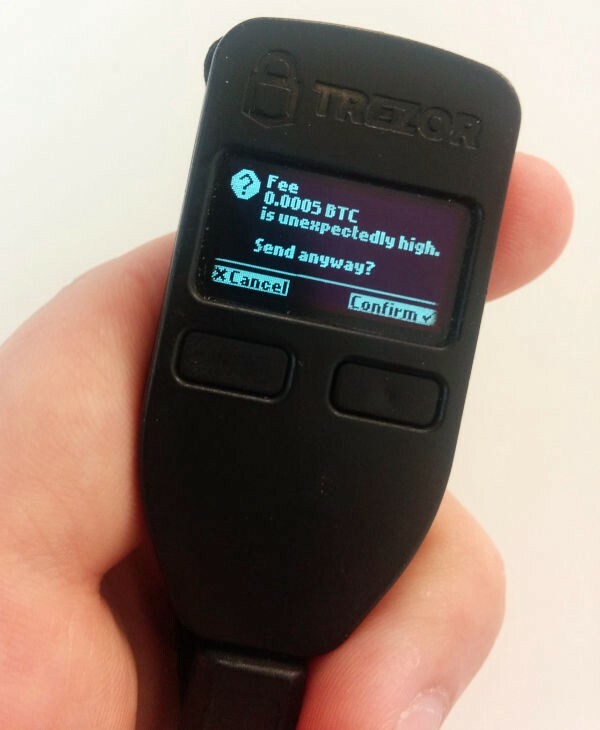 As written under the box, TREZOR is configured in a way that will ask you for an extra confirmation.